Coral reefs support more marine life than any other ocean ecosystem, and are a favorite haunt for many divers. In addition to being physically and biologically spectacular, coral reefs also support the livelihoods of more than half a billion people. Funded by Mitsubishi Corporation, volunteers have examined the health and diversity of coral reefs of these islands. Research goals were to determine the conservation status of reefs in the region, identify key threats to them, and identify conservation management actions that could be implemented to protect this important resource for future generations. Mitsubishi Corporation and Earthwatch are helping to train the next generation of conservation leaders through the Coral Communities in the Seychelles program. Biological research conducted by Earthwatch volunteers investigates the ability of corals to tolerate and adapt to changing climate. How did Mitsubishi get involved? 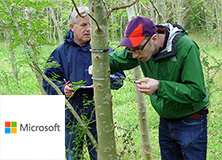 Mitsubishi Corporation funds six community stakeholder places each year, which are targeted toward early-career scientists. These individuals are selected by Earthwatch and the project staff from the Indian Ocean region, and they play an essential role in social science research by conducting semi-structured interviews in Seychellois communities, under the guidance of the Earthwatch team. As well as contributing to the research component, the community stakeholders take part in a number of learning sessions, which help them to develop numerous skills of importance to their careers – such as science communication, how to develop a research questionnaire, how to write a CV, presentation skills, and using problem-solving tools. By helping these individuals to establish contact with leading scientists in a relevant field and a motivated peer group, these teams also help early-career scientists to broaden their professional network, giving them a chance to share ideas and gain inspiration. This model for supporting the emergence of conservation leaders in the Indian Ocean region is critical, because there is currently a global shortage of research experts with the practical observation and identification skills to drive conservation action. This is particularly true in developing countries, because these skills are often missing from academic training programs, and funding to train the next generation of conservation leaders is scarce. This “capacity gap” in the developing world limits conservation science and makes it more difficult for these countries to participate in a global debate regarding the future of our natural world. 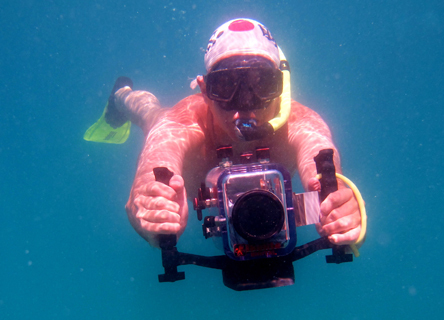 Earthwatch research activities in the Seychelles take place on the islands of Curieuse, Mahe, and Praslin and explore how anticipated changes in reef systems due to global climate change will impact both biological and social systems. The biological research, which is conducted by Earthwatch volunteers each year, investigates the ability of corals to tolerate, or adapt to, a changing climate. Because coral reefs also support the livelihoods of millions of people worldwide, it is important that the impacts of climate change on the reef are not considered in isolation. In the Seychelles, climate change, which is likely to affect the growth, abundance, and diversity of corals, may also dramatically reduce the number of people whose livelihoods can be supported by a reef. 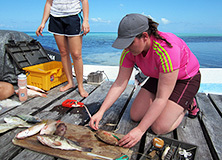 Therefore, in 2011 Earthwatch initiated a social sciences component of the research that aims to describe the dependencies of local communities on the reef and to identify the mechanisms for developing social resilience to change, through community engagement, capacity development, and changes in management. The Seychelles has long been considered a resilient community, based on well-developed food markets and high levels of employment, but this research is already revealing a number of interesting findings, including a pattern of fisheries dependency that suggests that these communities are in fact vulnerable to climate change. 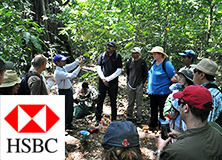 At a local level in the Seychelles, the Earthwatch team has a long-standing relationship with management authorities and is in a position to translate this knowledge into management action that will help decrease the threats to the natural resources and people of the Seychelles from climate change. 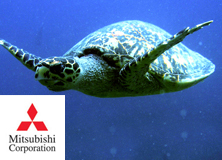 Earthwatch and Mitsubishi Corporation have been working together since 1994, which makes Mitsubishi one of the longest-standing Earthwatch partners. Coral Communities in the Seychelles is one of three research projects that make up the Mitsubishi Corporation’s Global Coral Reef Conservation Project – began in 2006, in partnership with the Coral Reef Research Unit and the Seychelles National Parks Authority. This research has only been possible with the support received from Mitsubishi and has included detailed reef surveys, hypothesis-testing with experiments in aquaria, and policy and social engagement. 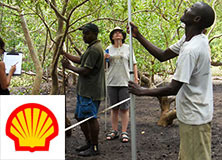 The funding has also given a wide range of individuals (Mitsubishi employees, early-career scientists, local NGO personnel, members of the public, and educators) the opportunity to engage with cutting-edge science and in-the-field learning in order to develop an informed consideration for the environment. 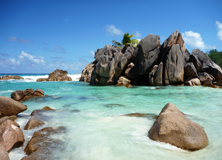 For the social science component of this project in 2012, a direct outcome was a publication on the governance of natural resources in the Seychelles that will help provide information that will change behavior in the region. The islands of Curieuse, Mahe, and Praslin in the Seychelles. Research finds a pattern of fishery dependencies, suggesting that local communities are vulnerable to climate change.